Before we start drawing in the computer it is worth experimenting with different analog tools to see how they affect letter forms. 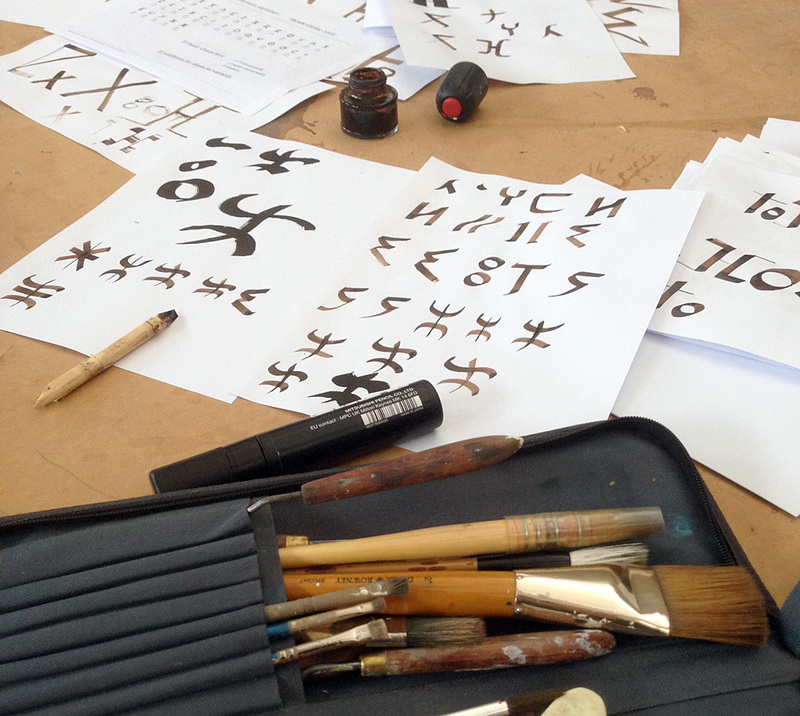 2018 started with a stimulating commission: I was invited to give a workshop on Tifinagh type design at the École Supérieure des Arts Visuels (ÉSAV) in Marrakech. 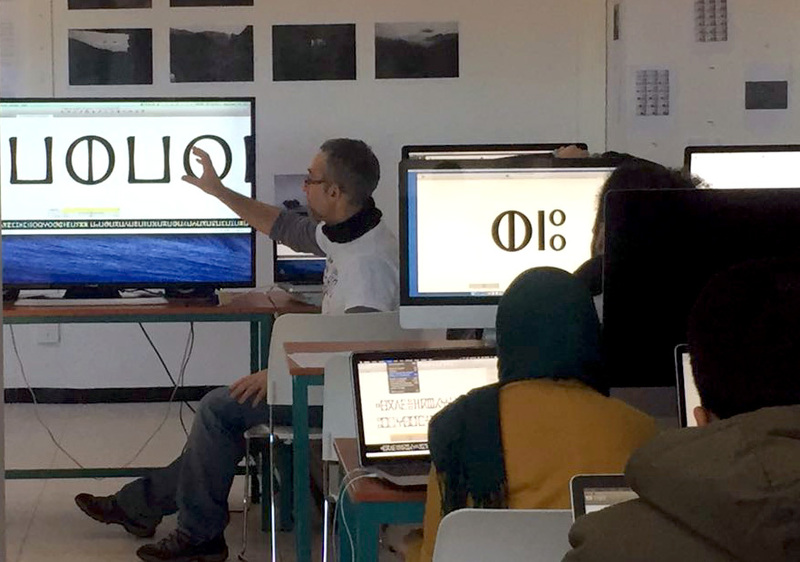 15 students of the Master’s of Graphic Design took part in an intense one-week workshop. 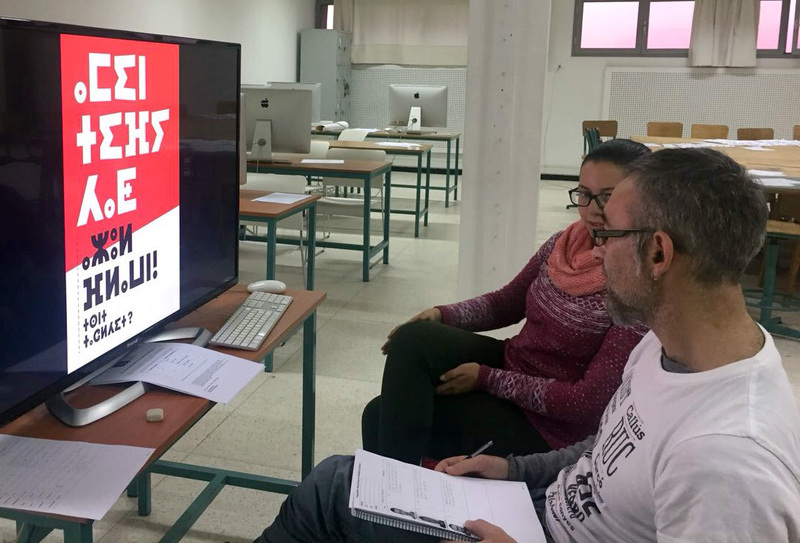 The goal was to make them familiar with the general principles of type design and to illustrate how those apply to the design of the specific letter forms of Tifinagh. We also looked into the history of the alphabet, tried different tools to experiment how they affect the shapes of its letters, got acquainted with specific features of Glyphs app concerning Tifinagh, and learned about its standardization and encoding. Spacing is always a crucial step in type design. Also in the Tifinagh alphabet. With all that information students developed diverse projects complying with very specific briefs. All in one week! I want to congratulate the students for their effort and results, and thank Maha Moudine for her invaluable help as assistant lecturer.